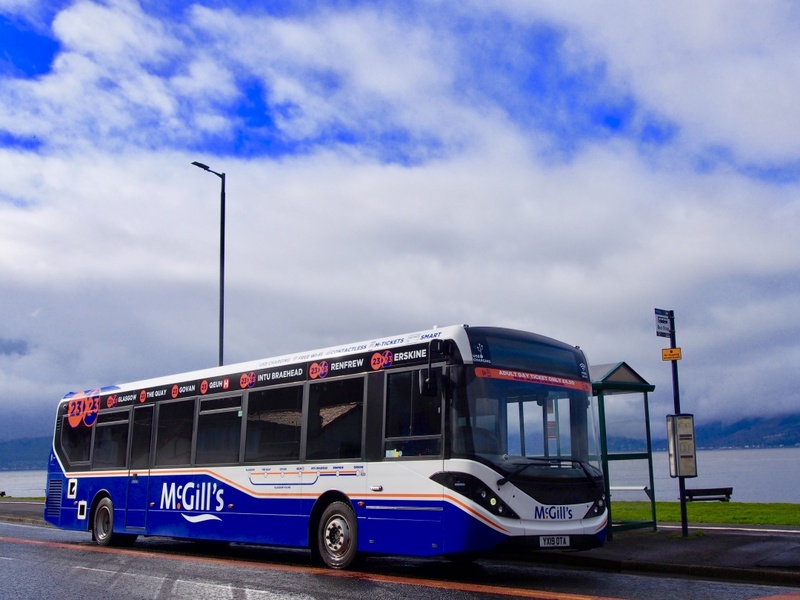 A major investment worth £4.75 million has been made by McGill’s, who purchased 26 new Euro 6 Alexander Dennis (ADL) buses that will serve Glasgow and the west of Scotland. With this investment coming through, the total over the past five years is more than £30 million; £24 million of which has been spent on new vehicles alone. Unveiled on Tuesday, 2 April, the buses will be used on two routes and come equipped with latest on-board technology, including free wi-fi and USB charging ports on every seat. “We are delighted to be purchasing these buses, from Scottish manufacturer ADL, which feature the latest engine and passenger technology. Some campaigners claim that bus operators are not doing enough to tackle air pollution, but this investment brings our average bus age down to under seven years old – the youngest large private fleet in Scotland – and demonstrates that we’re going the extra mile and taking a long-term approach to our operations. “Funding for the new fleet has been found privately with no public subsidies provided. Only by running a profitable business can we invest in the very latest vehicles and it is vital that the government now provides the conditions conducive to allow us to invest further,” Ralph Roberts added.